Nature Adventure Camps nurture an awareness and appreciation of the environment and give opportunities for learning through nature play and creative hands -on activities. Nature Camp registration costs increase from $160 to $175 per camper after June 1st. Ages 5 through 12. 9am - 1:30 pm. Art Camps emphasize exploring the outdoors, learning new art techniques and capturing nature by encouraging personal expression and creativity. Art Camp registration costs increase from $175 to $190 per camper after June 1st. Ages 5 through 12. 1:30pm - 4:30 pm. Registration fees are non-refundable unless determined by a medical emergency or illness. A doctor's note must be provided for a medical cancellation refund. Any other refunds are subject to a $25 cancellation processing fee. Did you know that armadillos always have four identical babies? We'll discover the fascinating animal life that lives all around us and will have an opportunity to meet some animal friends in person. Transform ordinary cardboard into the extraordinary! Campers will use their imagination to construct their own cardboard masterpeices, learn about architecture, and leave with their own fort. THIS CAMP WEEK IS FULL. NOTE: Week 2 Nature Camp costs are $175 and increase to $200 per camper after June 1st; enrollment for this camp week only is limited to 40. 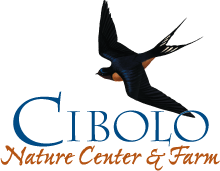 We will learn about aquatic life, explore Cibolo Creek and have fun fishing. This week is all about classic camp craft -- tie dye, God's eyes, beading, and friendship bracelets, just to name a few. We're going retro in the art world! There are animal signs everywhere! Tracks, scats, feathers, and bones are just a few of the ways that we know an animal has been near. We'll use our sleuthing skills to solve the mystery of the wild animals that live at the Cibolo. Let's travel back in time and imagine the future through art! We'll create pinch pots from the ancient Roman time period and use everyday objects to design gadgets of the future. NOTE: This week only has 3 days due to July 4 holiday. Slug slime and vulture vomit...we'll learn all sorts of cool and gross facts about the natural world and have a chance to get extremely messy ourselves! Learn about these scaly creatures that inhabit different regions of the world, including Texas! What are some of the traits that help them survive and thrive? We'll also have a chance to meet some reptile ambassadors. From the bluest summer sky to a brilliant rainbow, nature is full of color! Campers will explore the infinite universe of color through a multitude of materials and art techniques. Let's have some fun with H2O! We'll spend the week exploring the water cycle, the role water plays in the lives of animals, and of course playing in the Cibolo Creek. We will also have water relays, toss water balloons, and splash around with more fun watery activities. This week, we're thinking outside of the box and marking art from unexpected and recycled materials! We'll use newspaper to make paper mache and turn old t-shirts into plant holders. You'll never look at your recycle bin the same. Bats, birds, and grasshoppers. What do they all have in common? Wings! We'll learn how these critters use their special features to soar, flap, and fly. We'll also discover how humans studied our winged friends to invent the airplane. This week is all about being inspired by nature we find outside to create one-of-a-kind masterpieces. Campers will paint with handmade brushes made from natural objects, use leaves to make print art, and make suncatchers to capture the sun's rays. Put your survivor skills to the test at the Cibolo! Make a shelter, find water, and find out how plants and animals survive in the wild. We'll put your wilderness skills into action. Be the ultimate Cibolo Survivor! Let's make new masterpieces from the many techniques we've used over the summer! We'll use the greatest hits of the art mediums from each week to create unique and amazing works of art.